An Egyptian police officer died Saturday in an explosion as a police defense tried to dismantle outside a Coptic Church on the outskirt of capital Cairo, report say. The blast took place in Nasr City on the edge of Cairo and wounded two additional officer, a security source said. The botched bomb attack took place two before January 07 which marks the beginning of the year for Coptic Christians have become in recent years soft targets for Islamists who accuse the minority group of supporting autocratic ruler AbdelFattah al-Sisi who removed in 2013 the Islamist elected President Mohamed Morsi. In May 2017, 28 Coptic pilgrims were mowed down in an Islamic State group (ISI)-claimed attack as they were traveling to Saint Samuel monastery. Over 40 Christians were killed in a twin bomb attack in April the same year. 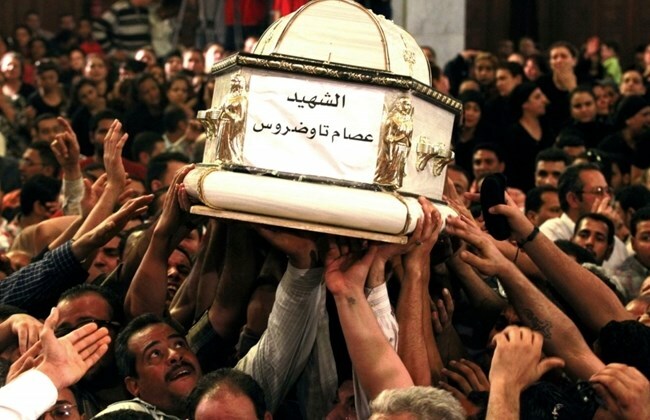 ISIS also in December last year launched an attack on a church in a south Cairo suburb, killing nine people. Written by: KanelkaTagba on January 7, 2019. Posted by KanelkaTagba on Jan 7 2019. Filed under Headlines, World News. You can follow any responses to this entry through the RSS 2.0. Both comments and pings are currently closed.